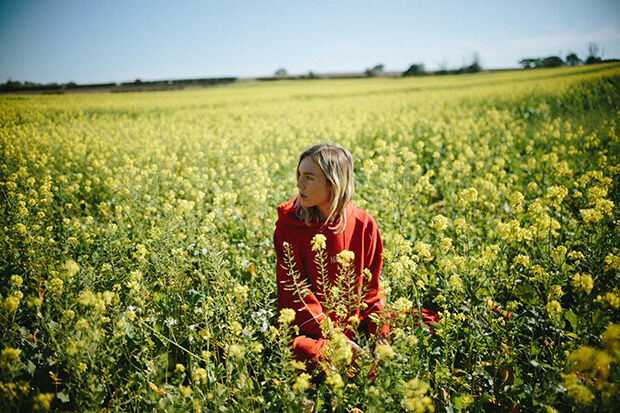 The Japanese House Serves Chill Vibes On "Maybe You're The Reason"
The Japanese House’s Good At Falling was already one of our most-anticipated albums of 2019, but March 1 can’t come quick enough — such is the quality of new buzz track, “Maybe You’re The Reason.” Like previous singles “Lilo” and “Follow My Girl,” Amber Bain’s (her real name) latest is as serene as a sunny Sunday afternoon on the surface. But there’s something darker lurking beneath the mellow synths: the 23-year-old grapples with depression and the eternal search for meaning. “And I think I’m dying ’cause this can’t be living, should I be searching for some kind of meaning?” The Japanese House ponders, before delivering this understatement: “Apathy’s a funny feeling.” The singer/songwriter comes up with some answers in the deceptively light and airy chorus. “I keep looking for something even though I know that it’s not there, maybe you’re the reason,” she sings. “Every time I try to figure it out, you’re the only thing I can think about.” Listen to Amber’s latest below and pre-order the album here.